William Kircher joined Triumph Group in September 2018 as Executive Vice President of Triumph Product Support. Triumph Product Support provides OEMs and aircraft operators with full lifecycle solutions for commercial, regional and military fleets. Triumph’s full suite of value chain services simplify the MRO supply chain and provide customers with global, integrated repair solutions. 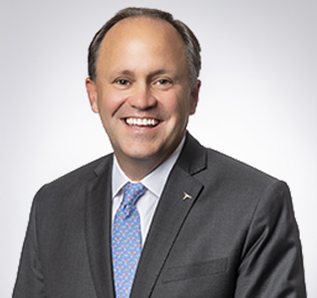 Prior to joining the company, he served as Chief Operating Office of MB Aerospace, a Blackstone portfolio company, and as CEO of VAS Aero Services, a HIG portfolio company. Bill also spent 18 years with United Technologies in various domestic and international leadership roles including President, UTC Aerospace Singapore, and Vice President, Singapore Overhaul and Repair for Pratt and Whitney. Bill holds a bachelor’s degree in Industrial Engineering from Northwestern University and an MBA from the Kellogg School of Management at Northwestern University.